One of the leading voices of PTV4 has left the state-owned television network. Kathy San Gabriel, the longtime anchor of People's Television Network, was abruptly fired by the management on Wednesday, marking an end to her PTV4 stint. Originally, she had been told that her last broadcast would be on Friday, but according to the veteran journalist, the management has decided not to proceed with its initial plan. "Mamayang gabi sana ang huli kong newscast. Bagamat alam kong magiging emosyonal, gusto ko sanang kunin ang pagkakataong iyon para magpasalamat sa inyo sa pagsubaybay sa mahigit isang dekada kong pagbabalita sa PTV," she wrote in a post on her Facebook account Friday. "Ngunit ikinalulungkot kong hindi ko magagawa iyon. Nagdesisyon po ang pamunuan ng People's Television na huwag akong papasukin mamayang gabi. I was not given the dignity of a goodbye." 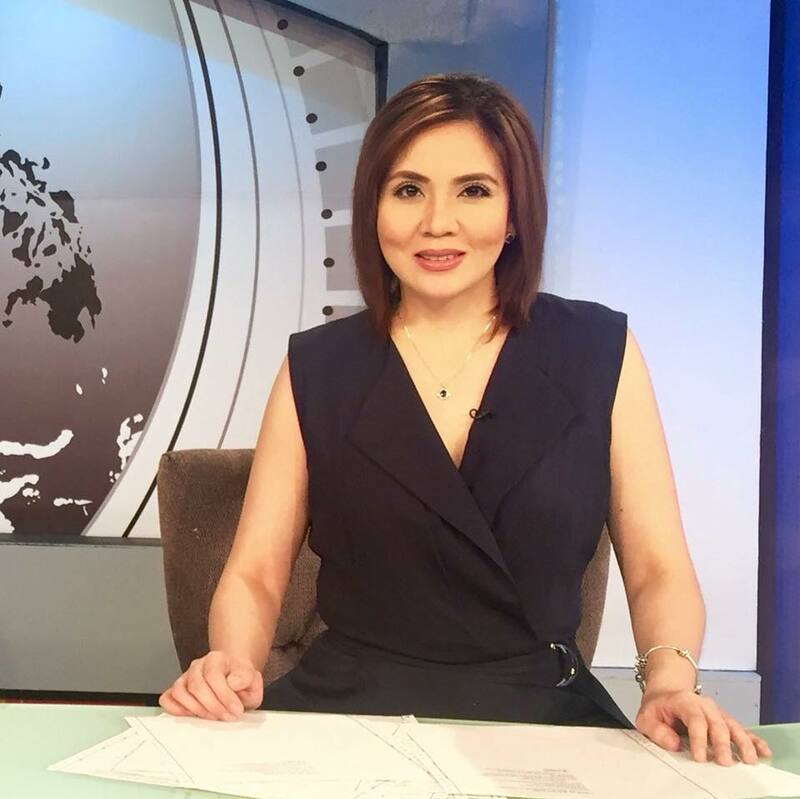 San Gabriel first confirmed her departure from PTV4 on Thursday, writing in a Facebook post: "Ang daming nagtatanong through PM at text message. Totoo po, I was just informed last night that my newscast tomorrow will be my last in PTV. Maraming salamat sa inyong naging tiwala at pagsubaybay sa labing isang taon kong pagseserbisyo sa bayan." Rumors about her ouster have been floating around media circles since late 2016. Aside from her, reporters Lala Babilonia, Kim Feliciano and Jed Del Rosario have also been dismissed just this week. San Gabriel first joined PTV4 in 2006 back when it was known as NBN: National Broadcasting Network. Previously, she was a news anchor and correspondent for ABS-CBN News. An earlier version of this post was titled "Kathy San Gabriel leaves PTV4". We already changed it to avoid any confusion.